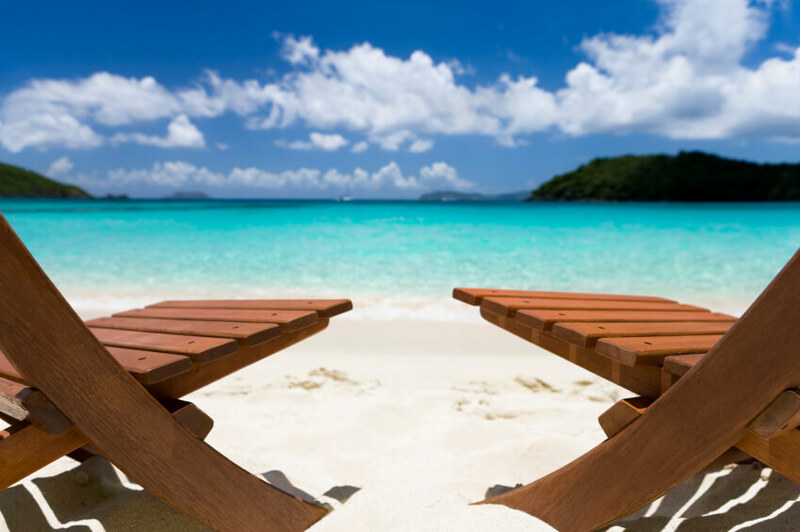 Retire Abroad: Is Your Chaise Waiting? Are you worried about making ends meet for an American retirement? Then you may be among the 3.3 million pre-retirees who are planning to retire abroad, seeking destinations that offer not only more bang for their buck, but accessibility, favorable climates and rich cultural experiences. For some in this cohort, retiring abroad is all about the newfound freedom and possibilities that their post-career days will provide. Are you interested in retiring abroad but can’t find the perfect destination? Look no farther. In its latest Global Retirement Index, International Living has ranked the top-10 overseas destinations to call home in retirement. Based on criteria such as climate, cost of living, safety, infrastructure and accessibility of health care, the publication named Costa Rica, Malaysia, Mexico, Panama and Ecuador among the top five locales. From long stretches of undeveloped beaches and green-carpeted mountains to volcanoes and dense jungles teeming with exotic wildlife, this Central American country is a “nature-lover’s dream,” the publication writes. A “cross-cultural melting pot of customs, dress, architecture and cuisine” awaits you in Malaysia, ranked No. 4 on the list of top global retirement destinations. For those dreaming of a relaxed and romantic new life abroad, Mexico can offer that and much more. Indulge in fine dining at elegant cafes, browse upscale shops or visit ancient colonial towns set in the rugged Sierras. This destination “packs a surprisingly large variety of landscapes into one tiny country,” International Living writes. From sleepy mountain towns to tropical beaches to its capital, the only true First World city in Central America, Panama offers a comfortable retirement solution. With its “breathtaking natural beauty,” you’ll find the perfect combination of climate, culture and affordability to make your retirement dreams come true, International Living writes. Now that you’ve gotten a sense for what international life could be like, it’s time for a little bit of a reality check. While these foreign countries may offer incredible experiences, you must first take into consideration a number of factors before making the move, Christakos says. Although health care may be more affordable in foreign countries, make sure it’s also accessible, Christakos says. And don’t just consider medical care. “You’ll need additional care in retirement — home health care, senior housing — so you want to pick a country that has these things available,” he says. Additionally, be sure to check if the countries you’re looking at accept Medicare. Will you still have access to similar activities and quality of life as you currently enjoy? But keep your age and health in mind as you are planning ahead. While you may initially enjoy a more “adventurous” lifestyle abroad, as you age in retirement you may not be able to take part in certain activities. Given Americans’ plugged-in nature, taking into account things like Wi-Fi and Internet connectability could make or break a comfortable retirement. When moving to a distant part of the world, this is especially important in order to stay connected with family members and friends back home. While amenities, lifestyle and health care often get overlooked by international destinations’ beautiful landscapes and ideal climates, they are increasingly important for Americans to consider when retiring abroad. What Do Your Finances Really Look Like? Before making any big decision about retirement, it is critically important to understand your current retirement plan or situation. How much do you have? How much do you need to live here or live abroad? Do you have enough? What risks do you face? Meeting with a financial planner can be a good move. Or, use an online retirement calculator to take stock of your situation. The Key to a Happy Retirement? The NewRetirement Retirement Calculator makes it easy to improve your retirement security. really understands living outside the USA at all. We retired to Mexico and lived there 6+ years. We were bitterly disappointed, and returned to the U.S. First, the corruption is truly unbelievable; every day was some experience with “mordida” (the bite). Ex-pats were subjected to it at every turn. Almost nothing could be done without paying someone off. We were robbed 5 times while we lived there; first by the brother of the guard on our all-expat community when we followed the rules and told him when we would be gone from home for more than 24 hours. The last robbery took place in broad daylight on a sunny Saturday afternoon when we came home to find 2 “policemen: in uniform, in patrol car leaving our house- one carrying our tv, the other our computer! A big draw for Mexico was that we could have maids, cooks, gardeners, very cheaply. What we weren’t told was that Mexican law required us to pay all medical expenses for them – OR THEIR FAMILY MEMBERS – after 40 total hours of employment. We also weren’t told we must get a signed receipt when we paid them. -Otherwise they could say – and they sometimes did – they had not been paid and get paid again! There are so many drawbacks to life in that country. I’m shocked that International Living extols the “low crime rate”; that is simply untrue. They have made getting money out of the “Gringo” an art form!? There were good things: Some of the people were lovely – the weather, in parts of the country, is wonderful, excellent medical care is available if you can pay for it. But, in all, it is absolutely not where I’d ever recommend for retirement. Make Sure You Have a Great Plan! Use this Retirement Calculator to assess your plan right now. It is easy, extremely detailed and reliable!